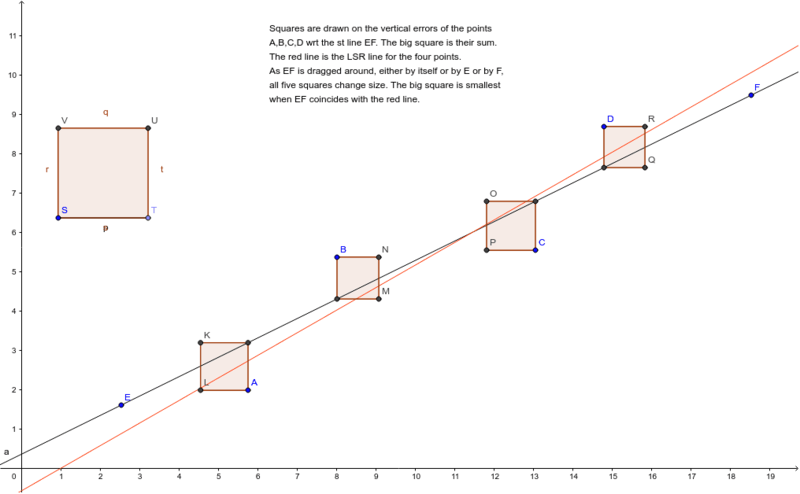 An applet for understanding linear regression - an important statistical concept in data analysis. Note that we have used squares. Would the same principle hold if other polygons, all similar of course, were used? Why don't you try to develop an applet for that?